The injury, which was the result of blocking a shot, was right up Rome's alley. It was exactly what his Vancouver teammates would expect from their physical defenceman, seeing him put his body in front of an opposing player's shot, even in a game that didn't count in the standings. Unfortunately for Rome, the end result from that late September pre-season game was a broken finger and a minimum of four weeks on the shelf. Six days later, in a game against the New York Islanders, scoring once and adding two assists. In his next game, he netted another tally. Known primarily for his stout defensive work, his offensive surge might have his fellow Canucks raving, but the native of Nesbitt, Manitoba isn't talking big about his impressive stats. And while Rome, who was traded from the Ducks with Clay Wilson to the Columbus Blue Jackets for Geoff Platt on November 15, 2007, is pleased to be contributing offensively, though he's not about to abandon other facets of his game. For Rome, maintaining simplicity in his game is the key to his success. 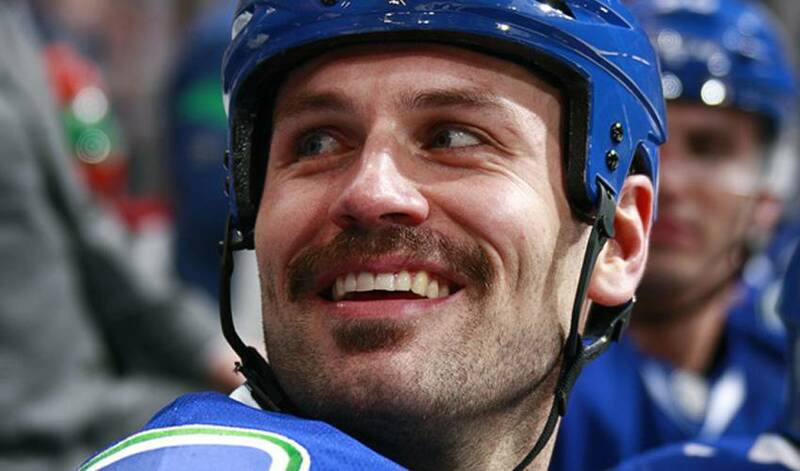 “That's absolutely it for me,” said the blueliner, who signed with Vancouver as a free agent on July 1, 2009. “When I'm able to keep things simple, that's when I feel I can be my most effective out there. Rome, who played junior hockey in the Western Hockey League (WHL) from 1999–2004, relishes the opportunity to play on a multi-dimensional defensive corps. Rome is hoping it pays off with a happier ending than last year's Stanley Cup Finals, which saw the Canucks lose in seven games to the Boston Bruins. And while it hasn't been a stellar start to the season, team-wise, for Vancouver, Rome believes the pieces are in place to take another shot at delivering a first Cup to the city. And the hockey world now knows that Rome isn't just a hard-hitting defenceman. He's certainly kept his promise...and more.